"You don't feel as good under my foot! " with unique toenail and fingernail polish that is black featuring yellow arrows pointing upwards. the head of the Gorgon of Greek legend and purple in color. Medusa's skin looks normal and smooth thus she's very beautiful. Her navel snake extends behind her making it look as if its a tail snake. Medusa is an incredibly sinister and evil individual, as well as a very powerful witch. Her greatest skill is her ability to manipulate almost anyone, due to her unbelievably high skills in acting. In her true personality, Medusa has a view of the entire world as a place of stasis, where nothing evolves or changes. She hates this so much that she went to the extent of resurrecting "dead souls" using a forbidden technique in order to make the world mold back into "motion". She also takes incredible pleasure in others' pain when she is the one causing it, and when her experiments are working. She is so sinister that she can even subject her own allies to unimaginably torturous punishments, like locking them in a dark room for many days without food or water whenever they fail to do what she commands them to do, and gives them terrifying orders such as to lay to waste many human souls. She is easily angered by those who create a road block in her experiments or in the "evolution" of the world, and usually tries to eliminate these problems. Although she seems so dark, to say that Medusa has no love in her is a false statement. Deep within Medusa is her own, unique, sinister form of love that comes out extremely rarely. She expresses love specifically towards her experiments, guinea pigs and those she finds attractively strong and works for her. "Nake Snake Obura Kobura! " Medusa Gorgon had no recollection of her parents, siblings or her own identity. Later was she told only about her siblings, 2 sisters albeit both pronounced dead. Found at the outskirts of a destroyed village, no one knew where Medusa hails from. She was adopted and brought up in the Land of Fire, immediately integrated into the root division due to her sociopathic demeanour and more importantly, her potentially powerful talent. She mastered all her medical skills with ease and delve into forbidden jutsu. To further expand in her ply for an identity and thirst for power, Medusa quickly allies herself with the Rogue Ninja Orochimaru, while being the master manipulator she is, acted as his subordinate and spy. This gave her the opportunity to gather information secretly from various powerful shinobi there is while also having access to Orochimaru's laboratory and test subjects. She would later integrate several dna, including that of Orochomaru into herself, gaining even more power as she moves closer into becoming "The Demon god" herself. Medusa learned how to bring back dead souls to life using a forbidden technique she learned from Orochimaru. She hopes to resurrect her sister "Arachne" one day. Being trained as a spy, conducting espionage missions on warring states, as well as being a spy for Orochimaru, Medusa is extremely skilled in matters of intelligence gathering and espionage, having gained access to large stores of knowledge "called DATA CARDS". Medusa posses the data cards for every cannon bio there is and every custom bio she happens to get acquainted with. Like Orochimaru, Medusa has shown herself as an extensive researcher, performing multiple experiments to increase or neutralise an individual's abilities, as shown by her creation of Manda II. She is also a very skilled manipulator. Medusa understands the human mind very well, and takes advantage of that to help meet her own ends. In battle, she first quickly assesses her opponent's strength and battle style to comprehend their movements, thereby allowing her to easily predict and dodge their attacks. To use the Relics of Helena, the user must have a unique sealing mark while each has its own duty. The sealing script is in the form of a small crucifix tattoo on the user's back. The relic's aim is to further advance passive medical jutsu, either by using them alternatively or by taking them to another level. However, some of this improved medical practices would now require some chakra to be spent if they don't require chakra before. Rudimentary medical practices which are passive in nature are the "Power of Resistance", "Diagnosis", "Extraction", "Blood Coagulation" and "Cleanse". however this particular relic only works for Power of Resistance. Arc of Abstinence is a sealing script that is in the form of a small crucifix seal. It is represented by kanji for "resist" and thus it augments one's power of resistance. Basic power of resistance requires no chakra input but with the addition of chakra sealed within the seal of abstinence, power of resistance is taken to another level. The newly advanced power of resistance not only maintains its primary duties, it goes further to augmenting the user's anatomy from more factors that's affects him. It also goes beyond the anatomy and add power of resistance to the user's mind and body seals. The default "power of resistance" must be in use before the seal can be activated and like the default, the seal is passively activated albeit one would spend chakra this time but only to activate the seal. In addition to getting a boost to one's natural resistance to disease, poison, toxins, acids, alkaline substances, etc and because this is done by an invisible warm barrier(shield) around one's body, the seal flushes sealed medical chakra into the user's chakra network, which is used solely to increase the density and power of the resistance aura around the user's anatomy. The user uses this premise and create a tougher and advanced form of non-physical shield, though now would not only shield the user's body as a whole but would shield every cells on his body. This makes it able to withstand higher level bio hazards more potent than those originally mentioned, even to some extent, stop the decay(natural) of tissues and cells(cosmetic). This would also make the cells resistance to radioactive decay. Elaborately, this means, one's resistance to the effects now are enhanced and would even shield the user if it were enemy techniques, though the only thing that won't affect the user is the effects(venom, disease, bioharzards, etc) within the technique, the user is still susceptible to anything else like heat, shock, force, sharpness, impact etc., that might come with the technique. Though the seal is merely supplementary and cause no harm in any way, they have their drawbacks due to the user's advanced exertion of medical fuinjutsu, using normal fuinjutsu while the relics are in use costs +10 more chakra if they are A-rank and above. Description: Vicious Mockery is the name given to special tags and metal canisters that can replace the users basic explosive tags and smoke bombs. Made by someone with an innate curiosity of poison release the tags or canisters can have different substances inside of them if they so choose needing specific skills to acquire these. The first is the basic Med Toxin, this variation requires the user to be a Medical Ninja, it's effects are the exact same as the Med Toxin. The second is their own custom poison this requires the user to be a Medical Ninja with access to a custom poison that they have created. Finally the third is a special poison created specifically for these tags and canisters for anyone with poison release to use. This poison is called Tasha's Hideous Laughter and has specific effects that include uncontrollable laughter on turn one accompanied by auditory hallucinations where people will mock and insult the poisoned individual, blurred vision, twitching and numbness on turn two reducing the poisoned individual's reactions by one fourth, partial paralysis on turn three making hand seals impossible and reducing the effected persons speed by three ranks and finally complete paralysis on turn four. This third variation can be used by anyone who knows poison release. Being a medical ninja, Medusa's weapons, tools and vectors are laced with poison. Medusa had absorbed DNAs from Orochimaru, Karin, Jugo, Suigetsu and the Sound 5 thus she has access to numerous techniques unique to them. Due to her immense chakra control and her speciality in snake summoning and ninjutsu, Medusa is able to keep a personal summoning to her self which is merged with her by default. Her companion is the reincarnation of her lost child, Crona. 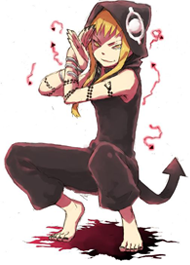 The user would smear blood on his snake tatoo or make the sunmoning rites, clap or press their hands against a surface to summon Crona. 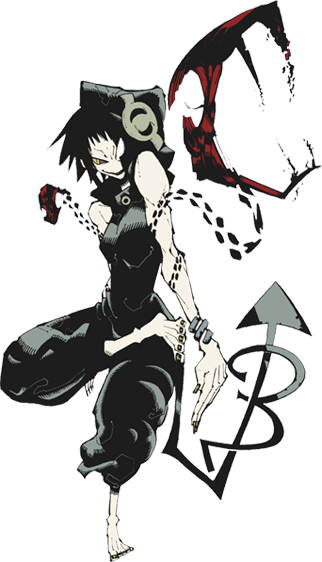 Crona is a black with red eyes snake that is said to be the reincarnation of Medusa's only daughter, who died long ago. She's quite timid to the summoner but crazy to anyone else who's not an ally to her summoner. She could grow to as long as 20 meters and as big as giant snakes. Unlike most orochimaru's snake that can wield the Kusanagi. Crona is also unable to use any traditional elemental ninjutsu, but to make up for this, she is constantly saturated with natural energy, a sage and able to use snake sage techniques, however, she can choose whether to let her innate nature chakra to interact with her summoner or not. While merged, she can only communicate telepathically with her summoner and she's able to give a very small portion of her nature energy to her summoner (20 per turn). This would not normally add any augmentation to the user nor would it increase the user's domestic or sage chakra but if the user is in sage mode or has a DNA make up to accept nature energy, the chakra would be used to boost the user's ninjutsu damage, boosting it by +20. However, this can only be done on one technique per turn. 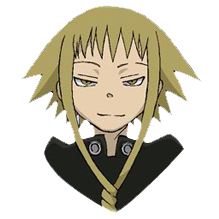 This boost is regarded as a passive boost as its done irregardless of if Crona wants it when she is merged. 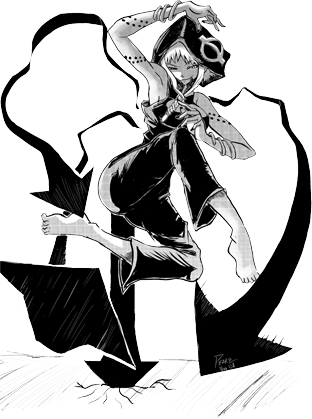 Crona's nature energy gives her natural durability to C-rank and below ninjutsu. Her venom is quite lethal. The snake venom contains "cardiotoxins" which are components that are specifically toxic to the heart. They bind to particular sites on the surface of muscle cells and cause depolarisation. The toxin prevents muscle contraction. These in turn, would cause the heart to beat irregularly and stop beating, causing death after 4 turns if not cured. Apart from that, it causes body muscles to become stiff and thus gradual paralysis. No B-rank and above taijutsu two turns after the venom is administered and speed is halved. No taijutsu or movement can be performed due to total body paralysis in the third turn after the venom is injected. Death in the 4th turn after the venom is injected. Using snake ninjutsu and snake senjutsu count as moves. Boosting the user's senjutsu two turns in a row will have the second instance count as a move. Can only be summoned 1x per event. The Witch's Legacy was forged by the first witches coven, stolen by Medusa, one of the Gorgon's sisters and modified while she was in Ryuichi cave. Medusa studied it for years before making her own modification to it. The Witch's Legacy is a pair of silver colored bracelets which can be worn on both arms. It is composed of an hybrid of organic and inorganic material that are extremely rich in Jugo's genes and nature energy. Also, it is particularly very durable and impervious to foreign chakra infusion or control. Majo no Isan can not be directly used offensively. Each pair of "The Witch's Legacy" has its own unique name and abilities. Ar and Em are the physical and spiritual aspect of "The Witch's Legacy". While Em is the bracelet on the right arm, Ar is the bracelet on the left arm. The Witch's Legacy is rich in nature energy and due to its composition of Jugo's dna, it continually absorbs nature energy from the surrounding and feeds it to the user. Ar takes the physical aspect of the natural energy while amplifying and refining it for specifics effects that only affects anything physical within the user. Ar would affect the user's strength and vigor, using natural energy to increase muscle tone and flexibility. It would also increase the user's bone density and physical balance. This would in turn, increase agility, speed, strength and endurance. The user's body speed and reaction would increase 2 folds, though the speed would not stack with other speed multipliers. An active ability of Ar however, is the ability to add "sage kata" to one's taijutsu by releasing a 1m aura of absorbed natural energy to surround the attacking limb, adding +20 to the Taijutsu attack. This would take a move slot though used in the timeframe of the taijutsu attack in question. Would leech 20 chakra from the user and can only be used once every 2 turns twice per battle. Having used Sake Kata, one would be unable to perform above A-rank taijutsu the next turn. Em takes the spiritual aspect of the natural energy while amplifying and refining it for specific within the user. Em would take some of the saturation of natural energy (10 per turn), gotten from the passive absorption of natural energy via Jugo’s DNA and convert them to refined sage chakra, storing it within itself and may be added when the user enters sage mode. Once the user initiates sage mode however, sage chakra conversion could not be used to add sage chakra to the user again. Conversion leeches 5 chakra per turn from the user's native chakra. Actively, Em can be used to break genjutsu up-to S-rank once every two turns twice per battle. Instead of channeling the chakra to boost a ninjutsu, the chakra can be actively channeled into the chakra system, acting as a surge to free one from genjutsu. This would take a move slot though can be used in the same timeframe as another jutsu since the user is not directly using his chakra for the surge. Sage Kata and Surge are active abilities of The Witch's Legacy and they follow their respective restrictions as mentioned. Should anyone apart from Priest tries to wear the bracelets, it would petrify them. Medusa has a wrist band on each hand. They contain contract seals for summoning Snakes(left) and Hooded Pitohui(right). Medusa clothing is laced with 2 sealing scripts across the shoulders, one on each side, used to summon weapons and tools using "Lightning blade creation technique". She also has in her inventory, 2 scrolls that contains assorted weapon and 2 empty large scrolls should he have a need to seal some other things and small empty scrolls. Description: This jutsu requires the user to have a pair of unique tattoo seals on his chest where his heart is located. The seal activates whenever the user goes unconcious but still alive. Upon activation, the seal discharges subtle lightning current/shock throughout the body and a controlled on the heart. Sorta works like a defibrillation machine. This causes depolarisation of the heart muscles and re-establishes normal conduction of the heart’s electrical impulse to the brain makes normal neural activities to resume and the user once again gains conciousness. Description: The use has a fuin tattoo in form of a large spider on his body which passively can move around the body of the user like a tattoo moving around a body. The spider has nothing much to do than sensing and responding whenever a foreign seal(which is not of the user) is marked/placed on the user. The spider moves immediately towards the foreign seal and devours it and becomes bigger in size. This specifically is meant to destroy the source of a sealing jutsu(like marks and tags) placed on the user only, instead of negating the effect of the seal itself. By sealing the external sealing source within himself via devouring, Arachne is able to neutralize a sealing technique. 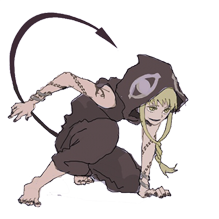 NOTE: Arachne leeches the user's chakra for it to devour sealing marks. The rank of the foreign fuin seals determines the amount of chakra Arachne leeches. 20 if the seal is B-rank and 30 if the seal is A-rank in nature. Ruruta has the command seal on the back of his left hand. Should the need arises, he is able to shift the sustenance of a body amour or transformation to the seal. Description: The user will have a seal that look like one of the symbols below (see spoiler) on either of their hands that will lie dormant until passively activated. The seal only works on jutsu that transform or are donned on the user's body and can only be activated whenever one of these techniques are in use. On activation of the seal, the seal become linked to any jutsu present on the user's body and serve as link between it and the user thus making the seal be the one sustaining the jutsu for as long as the seal remains un-destroyed. This does not however add any power to the jutsu in question as the jutsu can still be negated like normal. The only work of the seal is to make the jutsu remain if not destroyed though as long as the user is able to sacrifice his chakra sustaining the seal itself. The seal passively leeches 20% chakra per turn of the jutsu it is sustaining from the user, meaning if the seal is sustaining an A-rank earth armor, then the seal leeches 20% of 30 chakra per turn to keep sustaining the armor. The seal does not work on basic weapons or body armor, but can work on techniques that forms or mimics them. Works well with techniques like the hardening technique, lightning plasma ball, chakra cloak, etc. Also since the fuin is now the one sustaining the jutsu, the user now have access to use another jutsu/element if the jutsu in question restricts it beforehand. In escence this seal allows the user to keep the armor and focus on other chakras for the duration. Ruruta further fortifies the seals on his body by infusing them with lightning chakra. Description: This is a passive ability that is applied to all of the user's seals that are always active or lie dormant on the user's body prior to a battle (essentially seals stated in one's biography). The sealing script of the Fuuinjutsu seals will be infused with one of the basic five elemental chakras to reinforce, strengthen and enhance them so to make their destruction or corruption more difficult. The seals will now respect elemental strengths and weaknesses of the chosen element and will possess the strength of the chosen element up to their own rank. They will also be infused with 15 more chakra than normal and this chakra cost will be expended whenever the seals triggered or are activated. This technique doesn't make Fuuinjutsu techniques stronger or enhance them in any way, it simply makes the seals on the user's body/clothes/person harder to tamper with or destroy. If the seal's rank is boosted on activation, the strength of the sealing script will now reflect it's new rank. weaknesses of the chosen element and will possess the power of it up to it's own rank. The seal will also be infused with 15 more chakra than normal, which is the cost of applying this jutsu to this technique. This technique doesn't make Fuuinjutsu techniques stronger or enhance them in any way, it simply makes the created seal(s) harder to tamper with or destroy. the seal in question for it to be successfully corrupted (e.g. S- Rank Fuuinjutsu required to tamper with an A-Rank elemental seal). Description: Due to fighting alongside his summoning for a very long time, the user had come to interact freely with his summoning, making both parties have a special bond and favoring them in every way. The summonings too also return the favor. This is a special seal that is marked "zero" on the back of the user's hand. A total of two seal can be had, one on each hand and this can only occur when the user has summonings that meet the criteria for the sealing technique. The seal is specifically meant to be a storage/reservoir for something from the summoning of the user which the user himself can not control given to the user to seal in large quantity in an infinite container. A typical example is the Toads of Myobokuzan has abundance of oil and they would give the user to store. What a summoning may give varies and depends on their inate abilities. For example, snakes donates their venom in liquid form, summoning with gaseous toxins would donate theirs. However this seal is only meant to store and summon the substance and can not be manipulated further with this jutsu. The substance is only meant to be used or be a supplement to another jutsu (would be made separately). Summonings eligible for this feats are those that has something that is quite exclusive to them like ink, bubble, oil, toxins/venom etc they possess in liquid and gas form only. NOTE: Must be placed on the bio if the user has the required summoning. Up to two separate substances can be stored in the seals, one from each summoning and one in each seal. If the user has only one summoning with the requirement, then he only has one seal. Only one of the seals can be in use per match. If more than one summoning can be used(in special cases) per match, then both seals can be used. A passive seal that links the user and his techniques, balancing his physical with the spiritual. This seal would passively drain the user's chakra when a particular condition of unbalance jutsu usage is met. The seal tries to balance the appropriate amount of jutsu damage within a jutsu by adding the equivalent chakra, should the jutsu be unbalanced. This means whenever the user uses a technique with a damage threshold that is not equal with the chakra within the jutsu, the seal would siphon the amount of chakra needed to balance the equation from the user. For example: If the user has an A-rank jutsu with +10 damage, this brings the damage of the jutsu to 70 damage. The seal would respond accordingly, taking 5 of the user's chakra and adding it to the jutsu to make the chakra/damage ratio be balanced. This additional chakra would bring the jutsu to be a bit off its rank value thus unable to be sealed by fuinjutsu or techniques aimed to absorb/seal the particular rank. For example, a fuijutsu technique aimed to seal an A-rank technique with 30 chakra value would be unable to seal a technique used with this seal due to the chakra threshold exceeding 30. This does not automatically bring the jutsu to the next rank but if the chakra threshold reaches those of higher rank, then it would require a fuinjutsu technique that can seal those rank to seal the technique. For example, an A-rank jutsu with 40 chakra threshold can only be sealed if the fuin tech can seal S-rank, etc. The addition of chakra does not increase the damage further as this seal is purely supplementary, it only balances the chakra according to the damage. The seal is located at the center of the user's lower abdomen and though requires the user's will to suppress/pause. Meaning the user can decide which jutsu the seal does not affect. Automatically without the user's will, it would affect the user's techniques that meets the requirement. Unfortunately, this does not work with techniques above S rank. Medusa having created Vector Cobra, has the ultimate knowledge of how it works thus giving her maximum chakra control. She has black vector tattoos all over her body. Archive is a smart device worn as a wrist watch. However this is due to technology improvement. It's prototype is a super computer which is quite big and not easy to move about. Archive is simply a massive brain and a reservoir for information. Having a microprocessor exceeding 100s of TeraHertz, an infinite memory space via an embedded fuinjutsu seal and an inbuilt holographic system which makes Archive display high resolution holographic images from its memory as a way of displaying it's output. Archive is also connected to the internet that it constantly and continually draw new information into itself and thus is quite updated all the time. Archive's usefulness is the ability for the user to be able to draw information from it at any time in a freeform manner. This is quite easy as the user needs just touch a button or speak as Archive is built with biosensors and a voice recognition feature that only recognizes the programmed user. Like an electronic data card, The user is able to retrieve any ninja data, group/affiliation data landmark info and map, hospital and police records, bingo book, advertised upcoming events and tournaments . Retrieving a Ninja's data is done by searching through its extremely wide database and instantly locating the data and displaying it via a hologram. There are two ways that Archive gets and updates it's information. For the passive acquisition of info, automatically, Archive would download any ninja's data information that are freely advertised or publicized. For example; Bounties and Wanted Ninja have their name and known information placed in universal Bingo Books. Archive can only get information if the user happens to make acquaintance with such ninjas or the user happens to traditionally gather intel which he can then give Archive to store. The Ninja World Map would automatically be in Archive's database but the landmark description and topology/inhabitants can only be stored when the user has passed through the landmark during his travels. Major landmarks like the Witchhood Arena and The NW Market would have their full detailed information within Archive though. If any ninja has his data already in Archive or a particular object/landmark has its information within Archive , Archive would upon mid-range proximity to them , match their appearance with those in it's database and immediately display their data for the user to see and this is done even without the user's consent. Thin films are transparent semi conducting devices in the shape of flat hexagonal plates that are apparently very thin as their name implies. The films are by default laid on the the user skin and due to their thinness, able to blend with the user skin like a second skin without showing any visibility that it is present. The only time one would know and be aware of the thin films is when the user's skin is hit directly and a flash streak of cocoon like pattern appears on the user's skin at the area of strike. Being a second skin, the thin films would not hinder the user from secreting anything from his body (e.g: sweat, substance, jutsu etc) however, the films has their own usefulness. While on the skin, they prevent any kind of foreign substance from sticking to the skin of the user, albeit the user has total control of this should he willingly want something foreign to stick to him. On the same note, same applies to slippery surfaces. The thin films would also allow the user to interact with slippery surfaces as if there is friction inbetween the slippery surface and the skin. This is done by increasing it's own natural viscosity to suit the current condition. Thin films due to its semi conducting make up, akin to a capacitor, would continually absorb any electricity/lightning current up-to 30 chakra per absorption, storing the current into itself and allows the user to collect the electricity around their fist and feet to augment their taijutsu damage with electricity of up to 10 chakra from the thin films per use and at the cost of a move though in the same timeframe as the taijutsu in question. Lastly, the thin films are able to reflect any light in a focus or unfocused manner, amplifying it so that it causes a quick, bright but intense flash of light, able to momentarily blind the target. Blindness lasts for a turn and the flash can only be used up to 4 times. Description: This Scientific Ninja Tool is a disk-shaped drone that can be controlled remotely with chakra to fly and attack. The user can have up to four in his possession, which he can use to fire Jutsu Bullets from, that are strong enough to render a target unconscious and move at comparable speed to Lightning jutsu. These drones are able to be used up to long range, or one landamark adjacent to the user's location. Note: User can only have 2 max, taking one of his Tools slots. Cyborg bios can have up to 4, counting as 1 slot. Note: Once deployed, Mirror Drones last up to 10 turns before their chakra runs out, requiring a break of the same amount of time before they can be used. Cyborg bios have double the using time for half the charging time ( only 5 turns to recharge battery). Description: A cyborg attachment to the user's body, the user has a robotic limb that allows for him to create spheres of energy that are capable of absorbing chakra up to S rank level. These spheres are capable of dealing brute force on impact as well, growing to large heights, up to 4 meters in radius. Starting at roughly rasengan size, these spheres grow proportionally to the size of the technique absorbed. Normal Ninja are able to make use of one of these devices via specialized gloves that allow them to absorb 1 Ninjutsu per turn up to S rank while Cyborgs have these attachments and are able to absorb up to Forbidden powered attacks and 1 from each arm per turn. Note: Can be used a max of 3 times for Ninja and 6 for Cyborgs. Description: A saddle recovered from the ruins of Chungsu and crafted during the Golden Age of the Hangurian Freehold. The saddle, modest in appearance, is crafted from fine tanned leather and imbibed with Hangurian Ore. Lore holds that the saddle was commissioned by a noble house which was said to have tamed dragons and wyverns. While intended for dragons, the saddle is remarkably pliable and can fit any summon of reasonable size. The Hangurian Ore imbues the summon it is worn, enhancing its chakra and strength significantly; this allows the summon it is equipped on to travel through the world at higher speeds. This reduces landmark travel time by 10 minutes, while also increasing the summon’s effective speed by +2. This saddle can only be worn by personal summons, requiring a Ninjutsu specialty. This is a skin for advanced Kabuto bio. Credits to Method for helping out.